William Gardner Cazenove (27 Oct. 1819-8 Aug. 1877), son of Antoine and Anne, attended the University of Virginia in session 17 (1840-1841), during which he earned a Bachelor of Law degree. During the Civil War, William served as a captain in the CSA. He was a member of the Virginia state legislature. After the war, he became a vice president of a railroad. On 29 Apr. 1847, he married Mary Elizabeth Stanard (1822-1892) of central Virginia. Their children were Anna, Constance, Anthony Charles, Fanny, and Charlotte Cazenove. Antoine (Anthony) Charles Cazenove (29 Oct. 1848-4 May 1897), the son of William and Mary Cazenove, attended the University of Virginia in session 44 (1867-1868). He was a merchant and lived in Baltimore, MD. Most of the members of the Cazenove family mentioned above are buried in Presbyterian Cemetery, Alexandria, VA.
Alexandria Library (Alexandria, VA). c2008 A Guide to the James O’Hara Cazenove Papers, 1898-1970. Ancestry.com. Directory of Deceased American Physicians, 1804-1929 [database online]. Provo, Utah: MyFamily.com, Inc., 2004. Ancestry.com. Minnesota, Territorial and State Census, 1849-1905 [database on-line]. Provo, UT, USA: Ancestry.com Operations Inc, 2007. Askling, John, ed. “Autobiographical sketch of Anthony-Charles Cazenove; Political refugee, merchant, and banker, 1775-1852.” Virginia Magazine of History and Biography, v. 78, no.2 (July 1970), p.295-307. http://www.jstor.org/stable/4247580 . Beta Theta Pi. Catalogue of Beta Theta Pi. 7th ed. New York, 1905, p. 548. Cornell University. The ten-year book of Cornell University, 1868-1908. Ithaca, NY, Cornell University, 1908. v.4, p. 148. Graves, Gertrude Montague. A New England family and their French connections: with genealogical records of some ancestors, descendants and various affiliated families. Boston, MA, 1930, p. 200. Packard, Joseph. Recollections of a long life. Washington, D.C., 1902, p. 163. Schele de Vere, Maximilian. 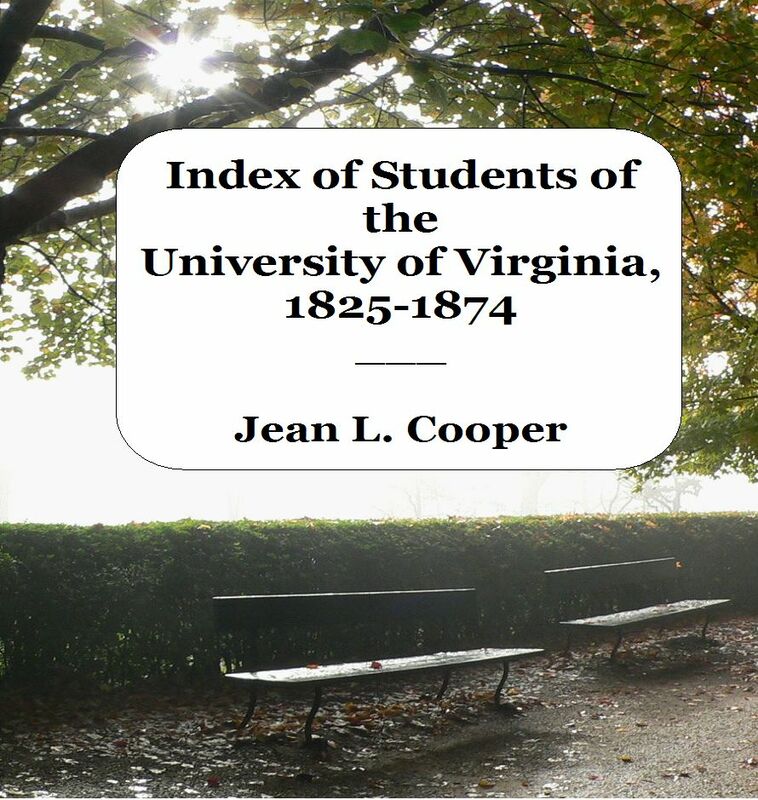 Students of the University of Virginia; a semi-centennial catalogue, with brief biographical sketches. Baltimore, MD, 1878. “Virginia, Births and Christenings, 1853-1917,” index, FamilySearch (https://familysearch.org/pal:/MM9.1.1/X5KM-P83 : accessed 21 Feb 2013), Anna Cozenove, 27 Aug 1854. This entry was posted in C and tagged alexandria, cazenove, session 17, session 44, session 49, session 50, session 51, Virginia. Bookmark the permalink.